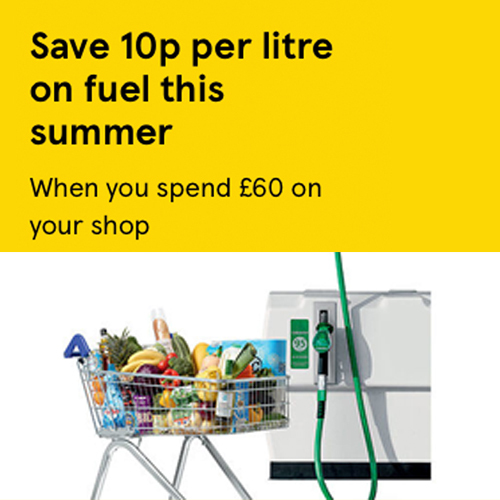 Save 10p per litre on fuel up until 26 August when you spend £60 on your in-store shop at Tesco. Fill up your fridge and save on filling up your car at the pump too. When you pay for your shop you’ll be issued with a coupon at the till which is valid for 2 weeks from date of issue and can redeemed at any Tesco petrol station. See tesco.com/fuel-promo for full terms and conditions.